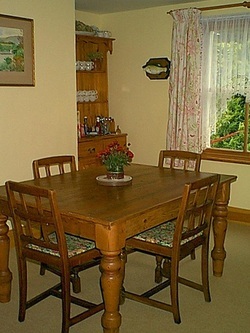 Ballacowell Cottage is a traditional cosy manx cottage. The cottage has separate living room, dining room and kitchen on the ground floor with stairs up to a double bedroom and twin bedroom both with en suite bathrooms. 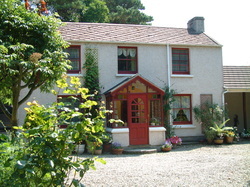 The cottage is the original residential dwelling at Ballacowell. 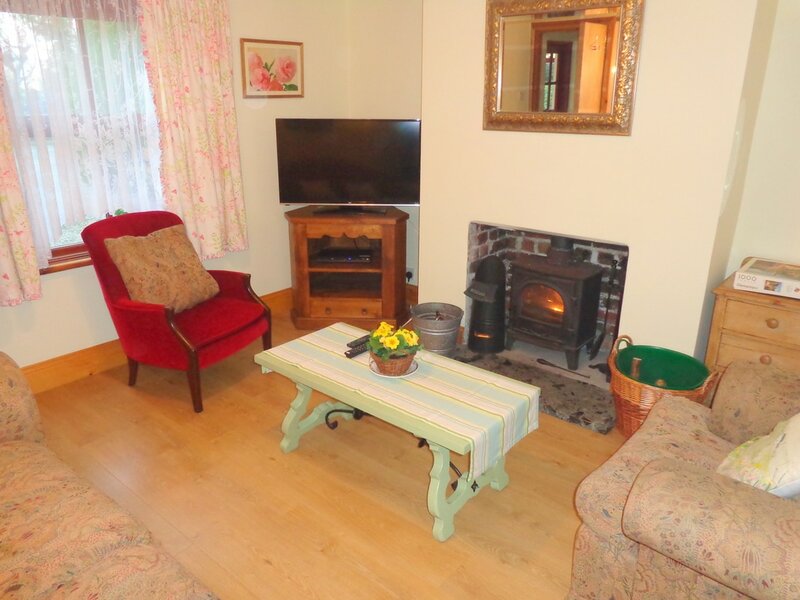 There is oil fired central heating throughout the cottage and a duel fuel stove in the living room. You are welcome to use wood from our woodstore. The living room is furnished with a large settee and two armchairs. There is a 42" LCD flatscreen tv and DVD player. 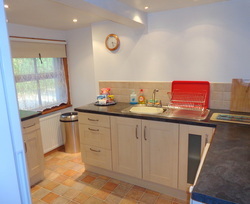 The kitchen is equipped with a large fridge freezer, electric oven with extractor fan overhead, washer/dryer and microwave. The double bedroom has a 4'6" handcrafted solid wood bed. The en suite to the double room comprises walk in shower, wc and basin. The twin room, with two 3 foot wide single beds also has an en suite comprising bath, basin and wc. 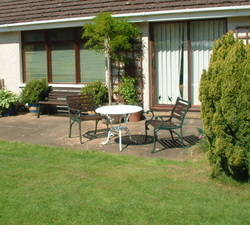 There is a south facing garden and patio for cottage guests and bed and breakfast guests to use. 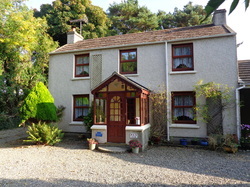 There is ample parking in front of the cottage and to the rear of the property for additional vehicles.